This Wednesday, Mike Peters of The Alarm will take part in a very special live broadcast from Kulak’s Woodshed that will be beamed around the world from 8-10pm (Pacific Coastal Time). Kulak’s Woodshed broadcasts live from Laurel Canyon in Los Angeles, and is a very intimate performing space (Total Capacity 49), and has featured some amazing performers including Grammy winner Jackson Browne. The Alarm.com website team has managed to secure a very limited amount of tickets which will allow fans to attend in person. Tickets are on sale now. 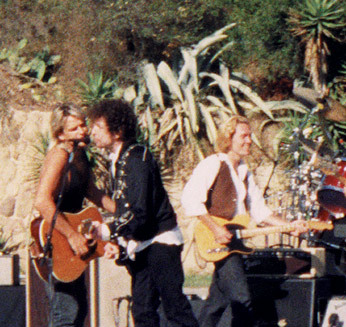 The live event will also feature a special guest appearance from Taylor Barton and her guitarist partner GE Smith, who was lead guitar player and musical director on the 1988 Bob Dylan tour which also featured The Alarm. Mike Peters and GE Smith (Saturday Night Live, Hall and Oates), will perform together during the Kulak’s Woodshed concert broadcast and share some very special ’30th anniversary’ memories from the 1988 Never Ending Tour which climaxed with Mike Peters joining Bob Dylan on stage in Santa Barbara and San Diego for an encore version of Knocking On Heaven’s Door. Fans from across the world can also watch the concert live here at Kulak’s Woodshed and are encouraged to take part in the live concert transmission by sending in questions and song requests which will be addressed live on air by Mike. Questions / requests can be submitted to the show through the broadcast website here. 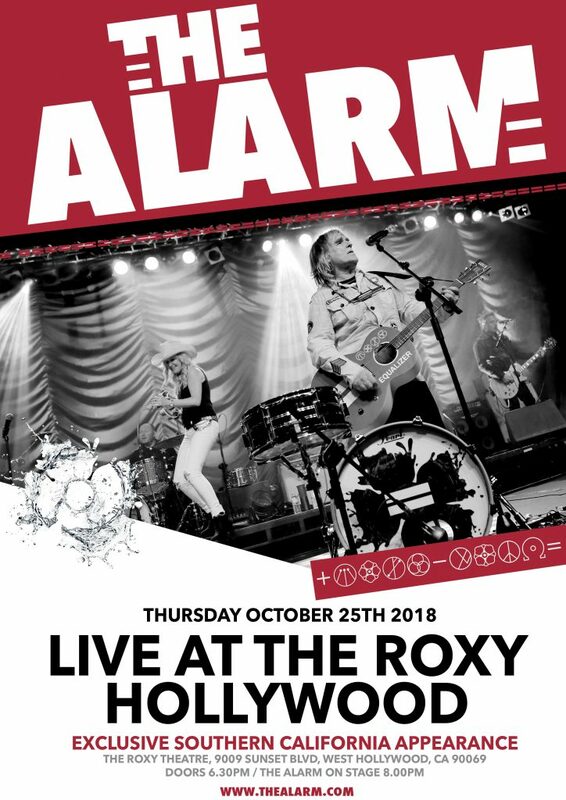 It promises to be an incredible event and the perfect way to kick start the Alarm’s USA Tour which begins in earnest at The Roxy Theatre, Hollywood on Thursday October 25th (see full tour dates below). Kulak’s Woodshed is a live music venue and multi-camera broadcast standard HD recording studio with multi-track audio, specializing in the promotion and celebration of singer songwriters. All shows are webcast live with seating for 49 people. Artists range from beginners to Grammy winners. Created by Paul Kulak in 1999, the Woodshed evolved into a community labor of love, operated by skilled volunteers and supported by audience donations. Everyone is welcome, all ages, and music styles. coffee available. Pet friendly. No alcohol permitted. 5230 and 5230 1/2 Laurel Canyon Blvd. 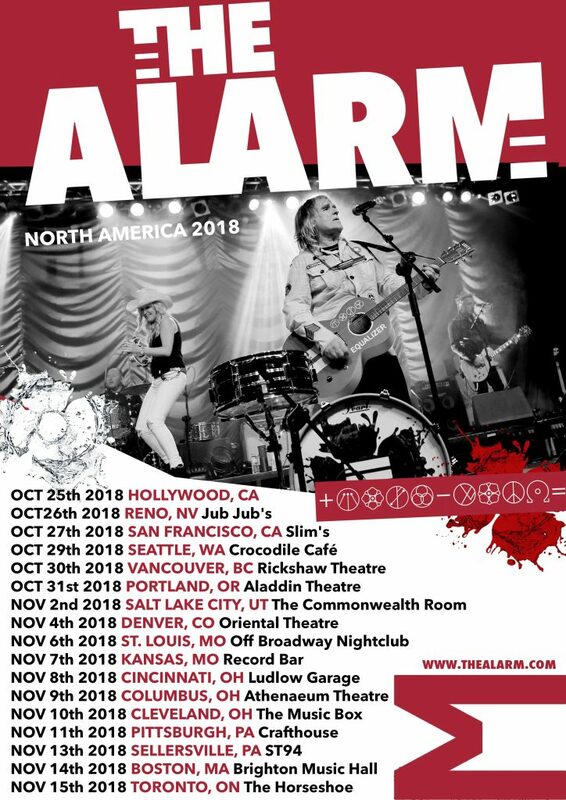 The Alarm – North American Tour 2018 [Part Two].